Bollywood singer Shreya Ghoshal, who began her tinsel town journey at the age of four, turns 34 on Monday. 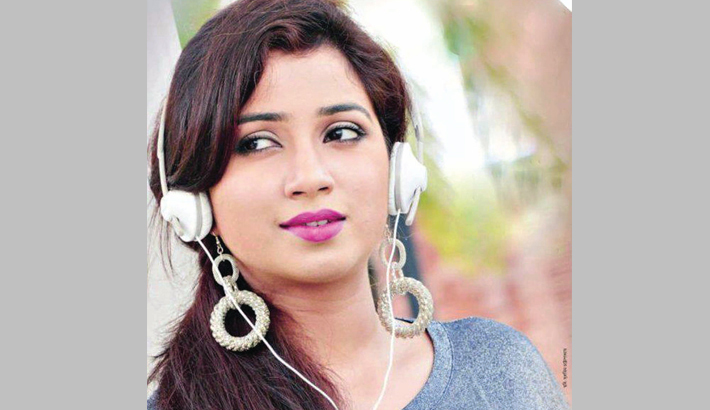 Born in Murshidabad (West Bengal) and brought up in Rawatbhata in Rajasthan, Ghoshal has lent her voice to almost all genres of music in Bollywood films. In her 15-year-long career, the singer has won a National Film Award, a Filmfare Award for Best Female Playback Singer and a Filmfare RD Burman Award for New Music Talent. She has also been honoured by the United States state of Ohio, where Governer Ted Strickland declared June 26, as “Shreya Ghoshal Day” in 2010. Shreya’s first recorded song ever, “Ganraj Rangi Nachato” was a cover version of a Marathi song originally sung by Lata Mangeshkar. In 1998, Shreya had her first album, Bendhechhi Beena, released on 1 January with 14 tracks. Currently, Shreya is often seen on the judges’ panel of singing reality shows, including Indian Idol. Her voice is so melodious. She has received four National Film Awards, six Filmfare Awards. She won Sa Re Ga Ma when she was only 16 and was soon roped in to voice tracks for Sanjay Leela Bhansali’s Devdas. Shreya has sung many songs in Bollywood. She has also sung in Bengali which is also her mother tongue, Malayalam, Oriya, Assamese, Kannada, Telugu, Punjabi, Tamil and also Nepali. Bendhechhi Beena was Shreya’s first album which was released in January 1, 1998, with 14 tracks. Some of her earlier albums include O Tota Pakhi Re (1998), Ekti Katha released in the year (1999),Mukhor Porag (2000). Her songs in the devotional album Bonomal Rei was also widely appreciated.